If the recent release of an archival live recording from the ’70s, an imminent biographical film starring Don Cheadle, and a postage stamp are any indications, the legacy of Miles Davis still shines brightly. 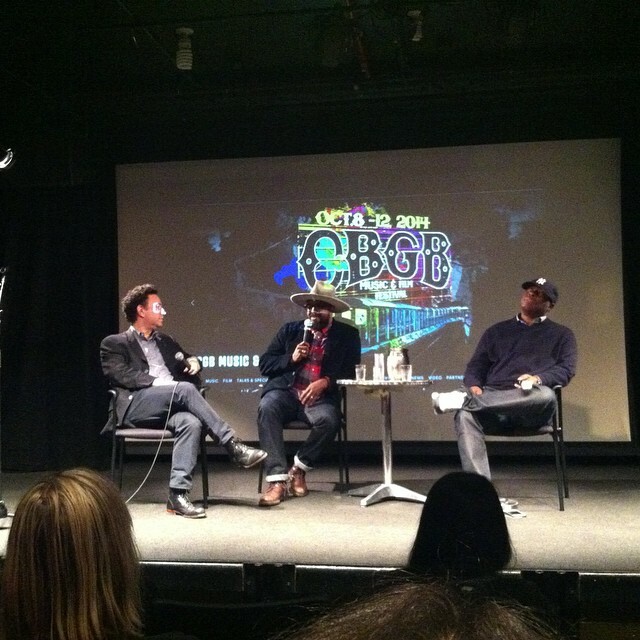 That was the main subject of discussion at an event held on October 10 at New York City’s Helen Mills Theater as part of the CBGB festival. Moderated by music journalist and author Alan Light, the conversation featured Davis’ relatives, son Erin Davis and nephew Vince Wilburn, Jr., both of whom played with Miles back in the ’80s. The 45-minute event covered a variety of topics concerning the late trumpeter, including: the filming of the movie with Cheadle both starring and directing; the ongoing search for new archival live material to release as in the case of the Bootleg series; how he was treated more like a rock star in other countries compared to the U.S.; and advancing the musician’s legacy (such as on the Miles from India collection). One of the enlightening points brought up from the event was Miles’ reputation of playing his back to the audience, which Davis and Wilburn explained that it was because he was delivering cues to the band and feeding off from their energy. Overall, the conversation kind of encapsulates what was so great about the artist, his genius, and the broad scope of his influence. If anything, it certainly builds interest and anticipation for that upcoming film biography as well as the prospect of more previously unreleased recordings to come.